DMCC, the world’s leading free zone for trade and enterprise, master developer of Jumeirah Lakes Towers (JLT) and the much-anticipated Uptown Dubai, has signed up Rockwell Group, a New York-based architecture and design firm, as the interior architect for one of the two super-tall towers that will anchor the 10-million-sq-ft development. The super-tall tower, whose name is to be revealed later this year, will comprise luxury hotel rooms and suites, high-end restaurants, health spas, extensive conference facilities, grade A offices, and 237 uniquely designed branded residences, said a statement from the developer. Shortlisted amongst six global bidders, the project Rockwell Group is to deliver for DMCC’s Uptown Dubai including the design of the super-tall tower’s first premium five-star hotel and branded residences, set for sale in early 2018, it stated. DMCC's executive chairman Ahmed Bin Sulayem, said: "We are excited to work with Rockwell Group to create a breath-taking experience with global appeal, and what will become one of Uptown Dubai’s two iconic super-tall towers." "Their global experience in bringing futuristic concepts and innovative designs to life will lift Uptown Dubai’s energetic vibe and design to new heights. It's an exciting time for design in Dubai," he remarked. On the project win, David Rockwell, the founder and president of Rockwell Group, said: "We are excited and honoured to be a part of the creation of the new Uptown Dubai district. We look forward to working closely with DMCC to create a modern, luxurious and innovative hotel and residences that celebrate the vision of Uptown Dubai." 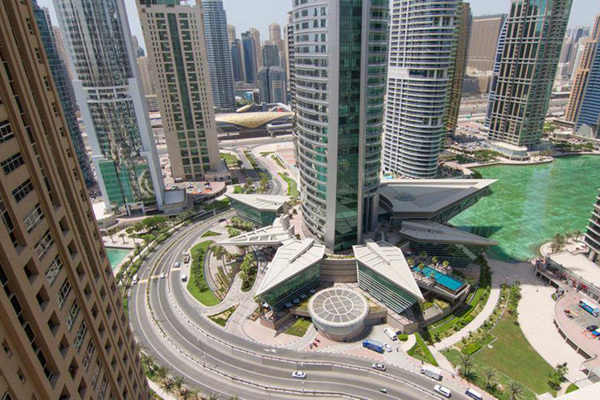 DMCC started work on the Uptown Dubai District in September last year. The premium mixed-use destination with seven towers atop seven levels of podium, will include more than 10 million sq ft of grade A commercial and residential space, over 200 retail and food and beverage (F&B) outlets, approximately 3,000 residences, a unique central entertainment plaza, and a number of luxury hotels, all offering supreme amenities for residents, workers and guests, said the statement from DMCC. Uptown Dubai will be anchored by two iconic super-tall towers designed by internationally renowned architects Adrian Smith & Gordon Gill from Chicago, it stated.